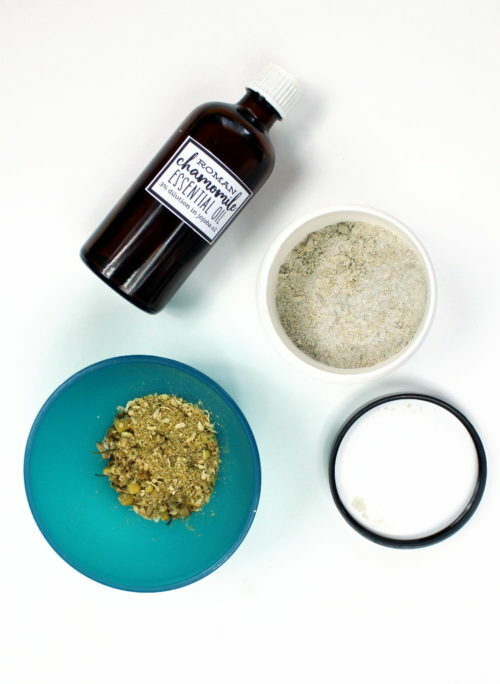 Ever wanted to make your own microdermabrasion scrub recipe but without potentially skin irritating baking soda? 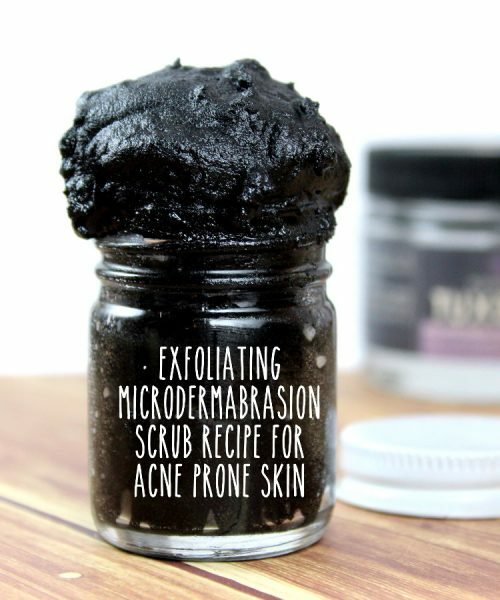 Then you need to check out this amazing DIY beauty hack for making your own exfoliating microdermabrasion scrub recipe for acne prone and combination skin! 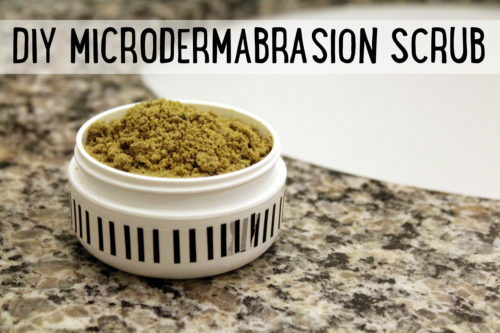 This simple and all natural microdermabrasion scrub recipe contains just TWO ingredients to help you save money over expensive commercial options. 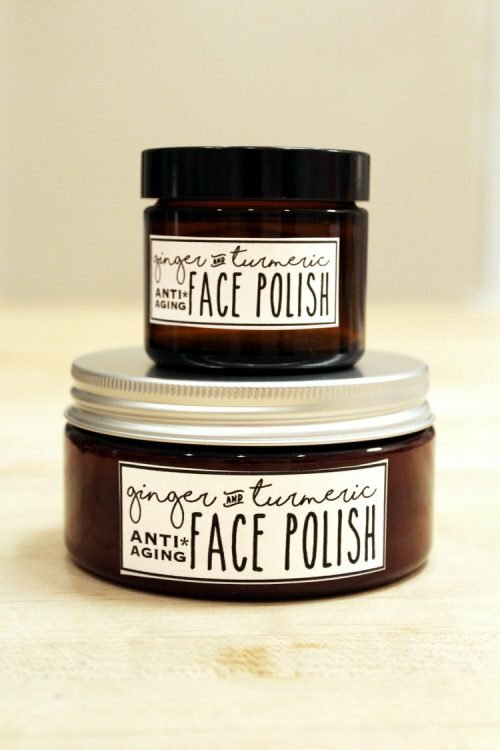 Plus it doubles as an anti-acne face mask! I received a sample of dr. brandt® microdermabrasion skin exfoliant in my Birchbox this past October to try. 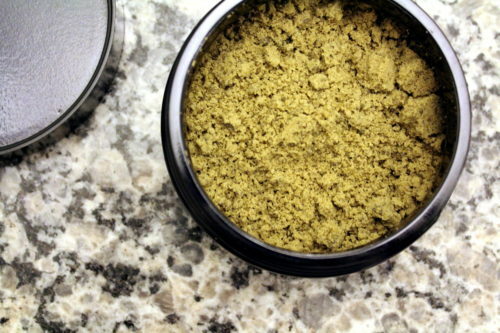 I really liked it but the retail price on this product is $79 for 2 oz. and terribly out of my price range. So I kind of nixed the idea of microdermabrasion for a while. 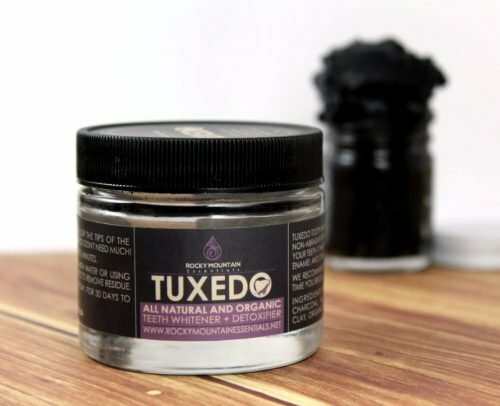 Then, during a rather pesky routine hormone induced break out, I decided to experiment with the Rocky Mountain Essentials Tuxedo Teeth Whitener and Detoxifier that I had in my bathroom closet. This all natural, organic teeth whitener contains only coconut shell activated charcoal, calcium bentonite clay, organic mint and organic orange peel. 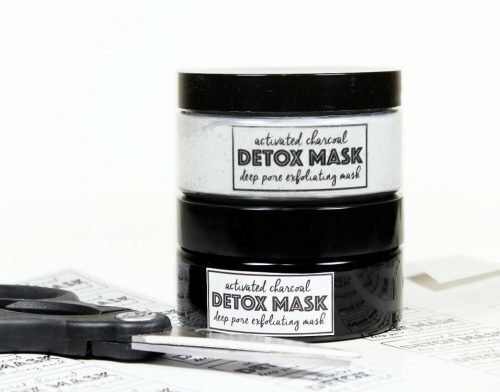 Activated charcoal, of course, is known for it’s detoxifying properties and is a common ingredient in anti-acne masks along with bentonite clay. I figured it’d be perfect as a face mask. 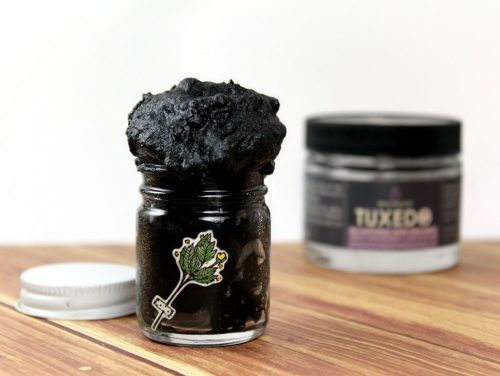 So, while in the shower the other day, I put a small amount of the Tuxedo Teeth Whitener and Detoxifier in the palm of my hand and added just enough water to make a paste. Then I massaged it onto my face in a circular motion. 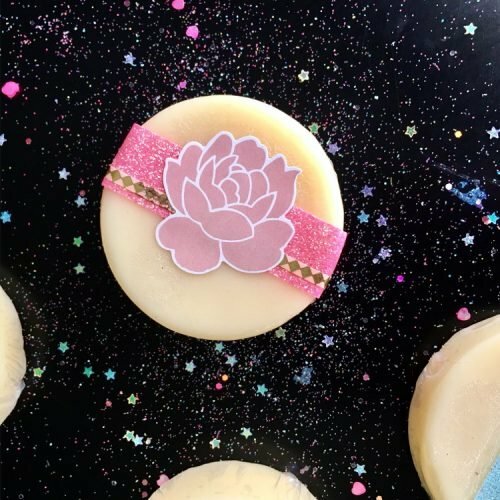 To both my surprise and my delight the paste felt exactly like a microdermabrasion product! So not only was I able to exfoliate my skin, I was also able to leave the product on my face as a mask for 5-10 minutes to help relieve my acne break out. It was as easy as that. 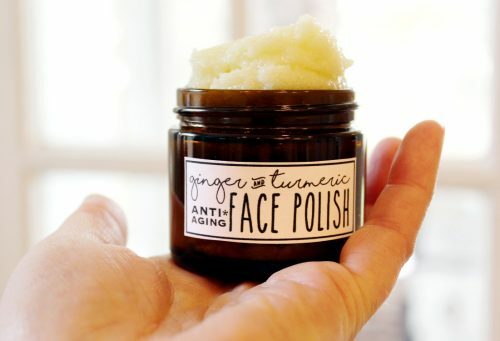 If, however, you’d like something a little more substantial than water to mix with the tooth powder, you can also mix it with skin friendly anti-aging oils like jojoba, rosehip seed or argan oil. 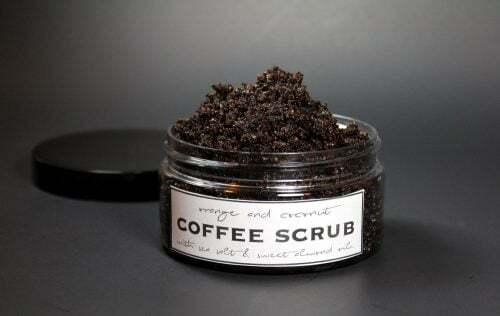 Another good option would be to mix it with soothing (cooled) chamomile tea or aloe vera juice. 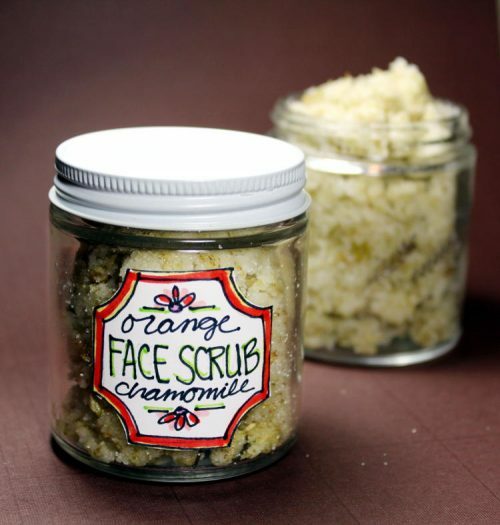 Then simply use once or twice a week as needed to maintain skin. 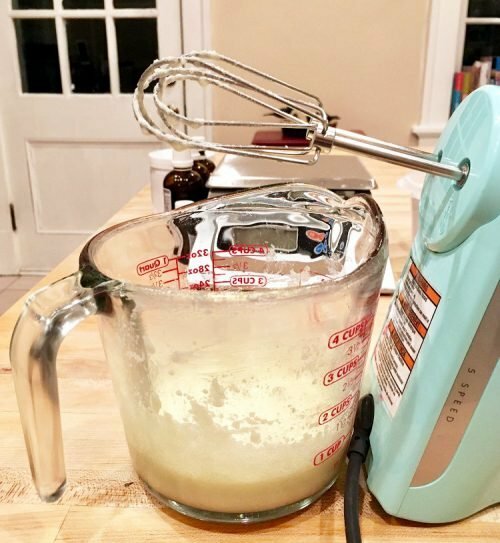 I weighed out the ingredients using a digital scale. However, you don’t have to weigh the ingredients out. 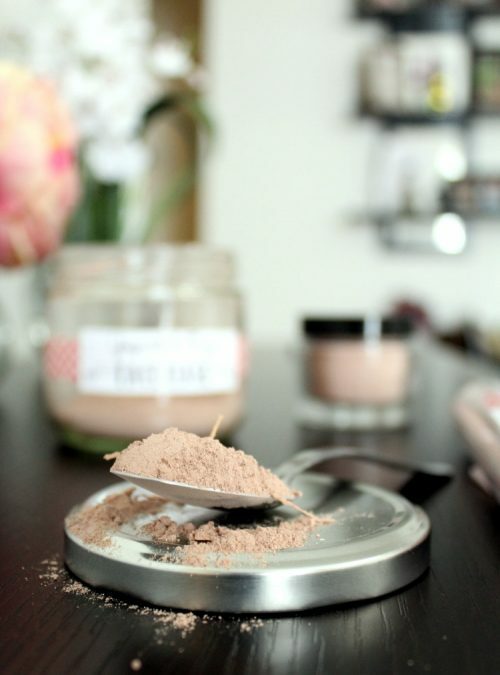 If you don’t have a scale simply add a small amount of oil to the teeth whitener powder until it forms a paste. 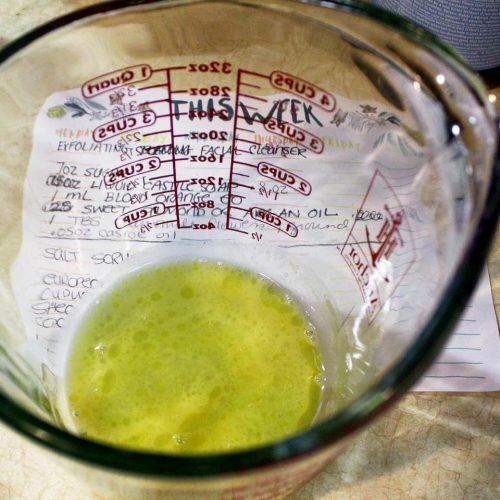 Otherwise, weigh out the ingredients and mix together. 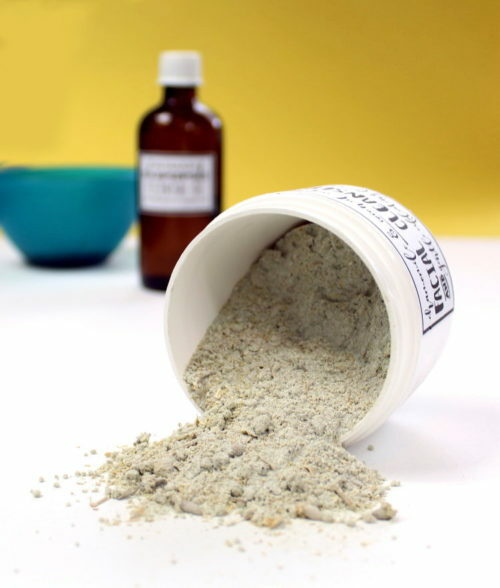 Be sure to use a non-metal utensil and bowl to mix the microdermabrasion scrub recipe as metal deactivates the properties of the bentonite clay (an ingredient in the Tuxedo teeth whitener.). 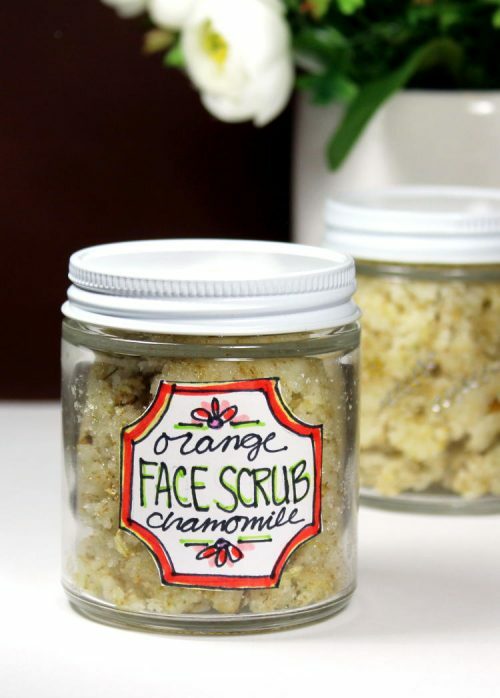 If desired, you can also mix in up to 12 drops of your favorite essential oil(s) into your microdermabrasion scrub. 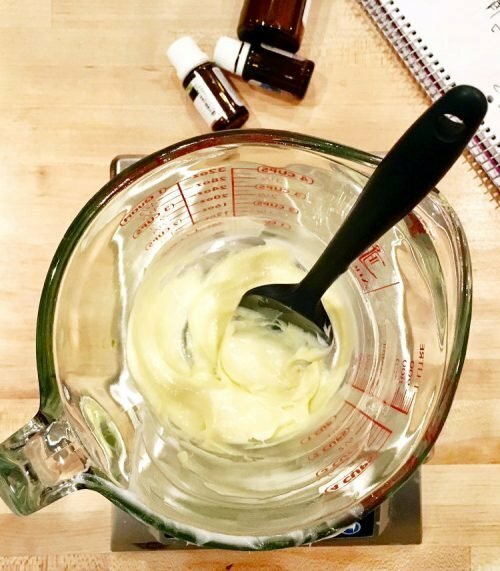 You can also substitute part of the carrier oil in this recipe with neem oil. In which case I’d recommend using essential oils – a lavender and tea tree essential oil combo would work great for this! – to hide the smell of the neem oil. 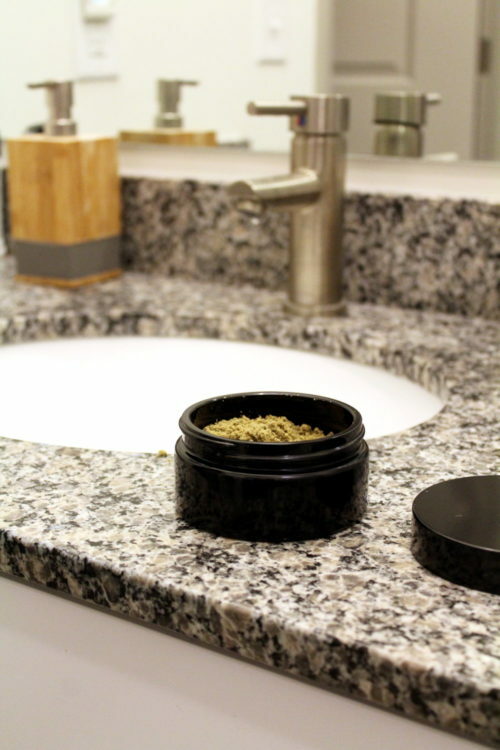 Neem oil has been known to help to relieve acne, psoriasis, eczema, dry skin, dandruff, skin ulcers, warts, and other skin conditions when applied either directly or into soaps, lotions, and creams. Hot tip! Add .15 oz. of polysorbate 80 to this recipe to make removal of the product easier. Without it, it’s a little tough to wash off. 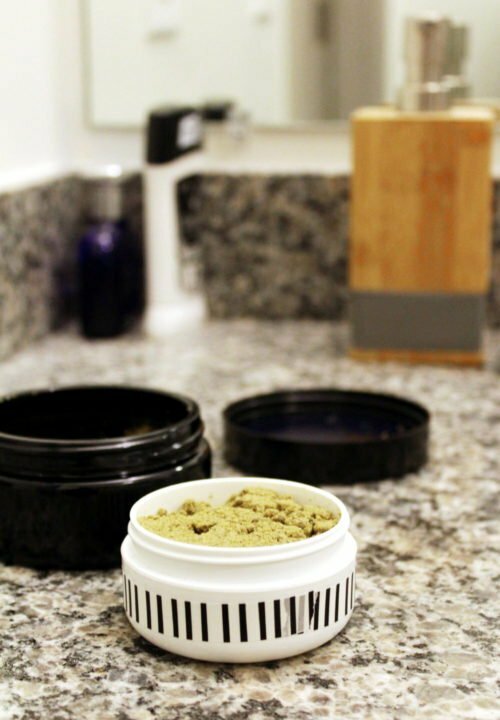 Once you’ve mixed up your face scrub, refill your empty jar of Tuxedo teeth whitener and detoxifier with the microdermabrasion scrub. 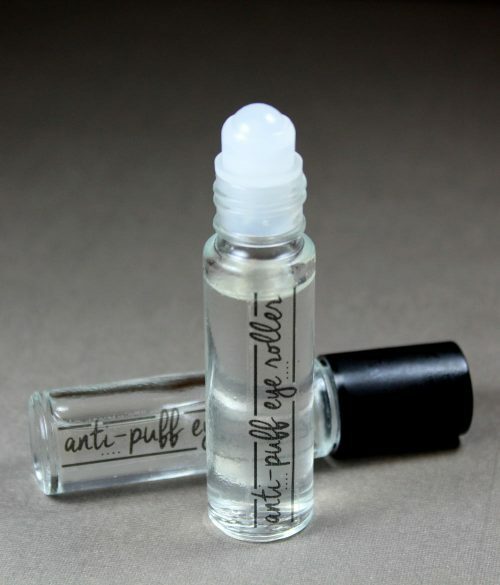 Alternately you can also use a 2 oz. 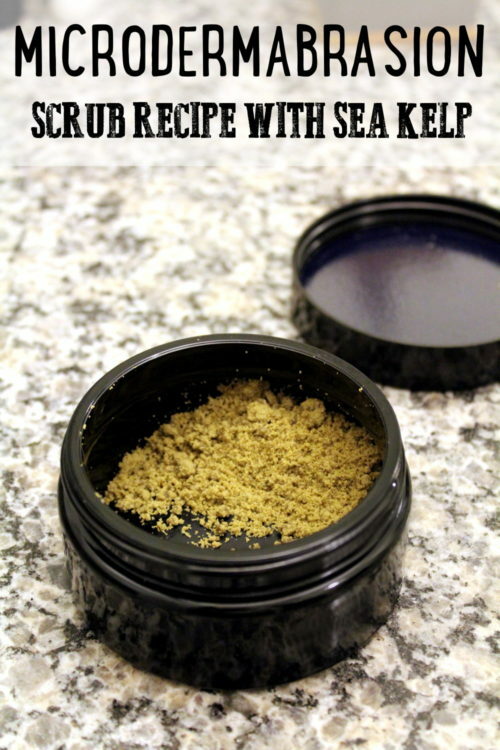 glass salve jar. 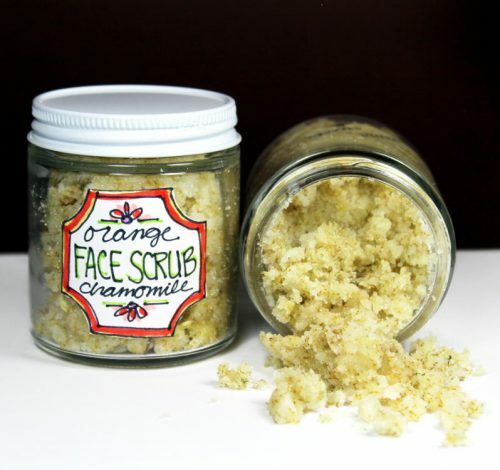 You’re new microdermabrasion face scrub is now ready to use! 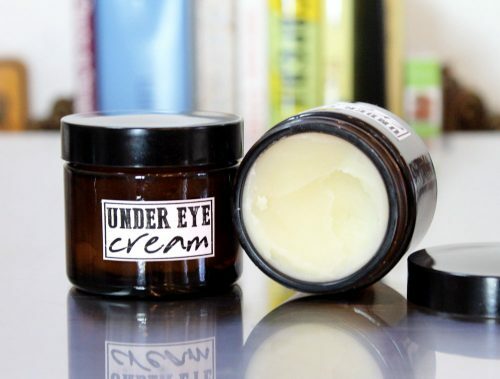 To use your scrub, simply apply a quarter sized amount to your wet face and massage in a circular motion avoiding your eye area. 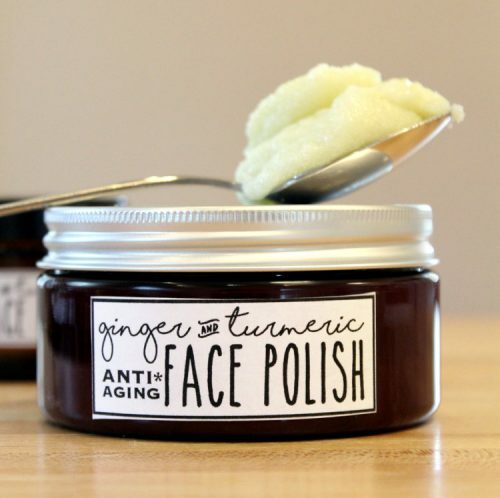 If desired, leave on skin for 5-10 minutes afterward to use as a mask. Finally, rinse the scrub off completely using warm water and pat dry. 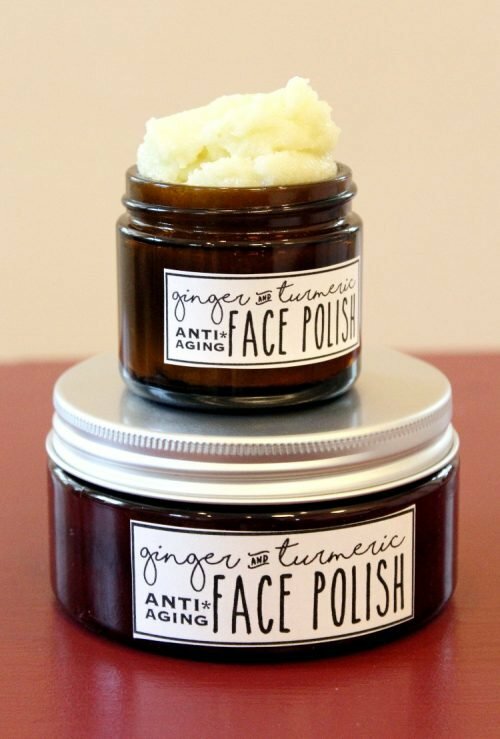 Be sure to then follow with your favorite moisturizer or anti-wrinkle face serum. 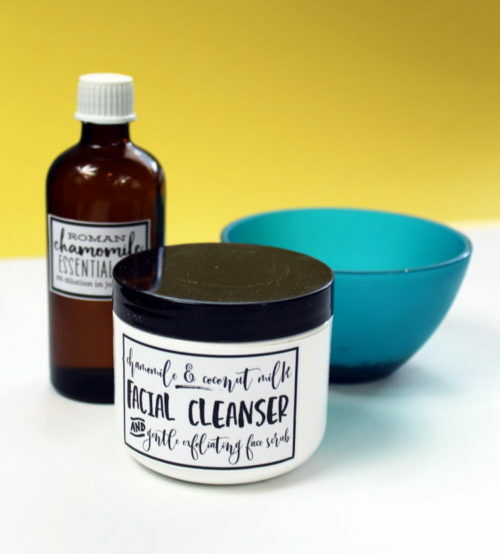 For more anti-acne skin care recipes that contain activated charcoal including homemade soap, mask and face scrub recipes, visit Soap Deli News blog here. Follow me on Pinterest, G+, Tumblr, Facebook, Twitter, Blog Lovin’, and Instagram. Or sign up to receive new posts to your email via FeedBurner so you never miss a post.